In this compelling and violent Young Adult novel, Kincaid has managed to create a world that imaginatively different, but in some ways scarily similar to our own. In a Dystopian future, technology has ground to a stand still, with a religious dark age enacted by the ruling elite who use religion to keep the massive underclasses, called the Excess, under control, while they live on starships in space, served by genetically engineered people. But not everyone is happy with the way things are, some subjects want science to be allowed to be studied again before the old tech breaks down, and before it tears holes in the universe that can’t be repaired. Sidonia is the daughter of such a man, who flies in the face of religion and politics with his heretical views. And her best and only true friend is Nemesis, a genetically engineered body guard, called a Diabolic, built to kill and able to only love and protect one person. It’s Nemesis story, and she’s a fascinating creature, a cold assassin who assesses every situation for danger to the only thing she cares about, Sidonia. But when Sidonia is demanded by the Emperor as a hostage to keep her father in line, the only way to protect her is for Nemesis to go in her place. But can she convince people that she’s human? And can she navigate life at court? And is she really just a soulless creation, or is there more to Nemesis than anyone can suspect? 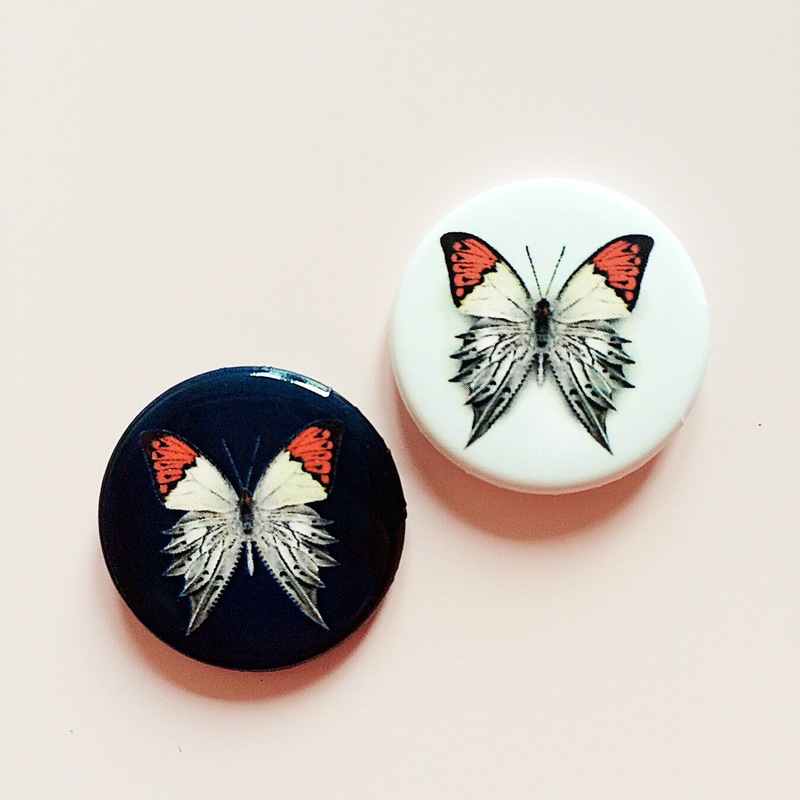 Badges from The Diabolic. The light and dark sides of Nemesis and Sidonia. I was quite struck by how violent this book is. Not that it’s gratuitously so, but I feel that young adult fiction means something very different in the current climate than it used to. But that said, I really enjoyed this book. It’s a twisting tale of court intrigue, science fiction and what makes us human, and it’s full of action and feeling. I really enjoyed sinking into it. I felt that some of the parallels were perhaps broadly drawn: the way that the first and third worlds live, our concerns about global warming and the way that some bodies use religion as a way to avoid dealing with that. It’s kind of an obvious transfer of ideas, but that doesn’t detract from the story. And the strength and interest of the main character, Nemesis, as well as the intricacy of the creation of the world that she lives in is so good. There are some great twists you won’t see coming, and there’s something really beautiful about the way that Nemesis starts to slowly find herself. A fabulous read. Highly recommended. Thank you Simon & Schuster for sending me a copy of this book for review, all opinions are my own. 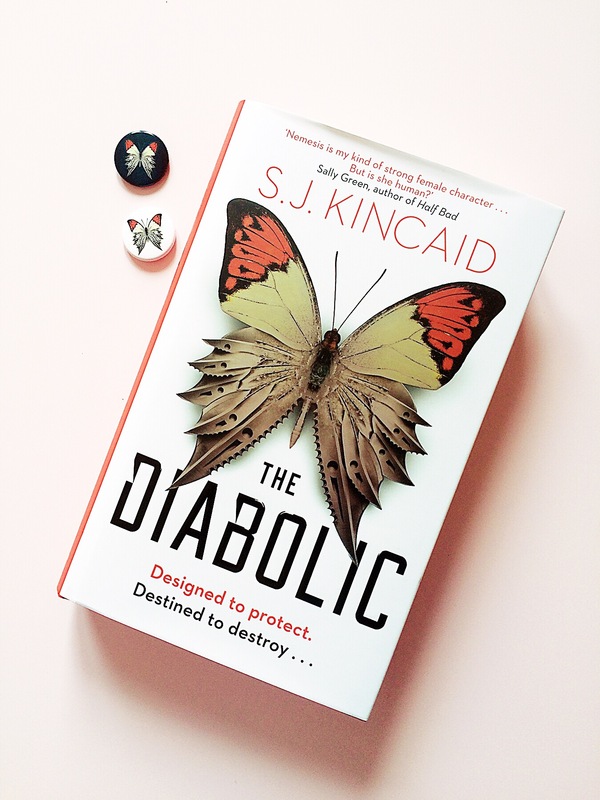 You can follow SJ Kincaid on Twitter @SJKincaidBooks or join the conversation #TheDiabolic.